Some plants are easier than others to grow from seed. Here are some tricks of the micro-propagation world. Seeds should be at the correct depth according to their size. Flat seeds (aka cucurbit seeds) should be sown on their sides. This goes for marrow, melon, squash, cucumber and other flat seeds. Make sure seeds get lots of light! They need it to germinate. If your seed tray has a cover, remove it as soon as the majority of the tiny seedlings have appeared. Disturb the roots of the seedlings as little as possible. This will help them grow thick and tall! Seedlings (like our cats) hate being soggy. Be ruthless with weak or overcrowded plants! It’s better to pinch out (to cut them at the soil level) one or two healthy plants than to let two plants suffer later by pulling them apart. Sad but true. Handle the seedlings and even the young teenage plants by their leaves – never by their stems – to avoid damaging them. Our favorite link from the week, a terrible bit of news! The genteel world of horticulture is “up in arms” about the BBC’s flagship gardening programme getting bumped in favour of snooker and football matches. Devotees of Gardeners’ World have started an online petition begging the corporation to keep the half-hour BBC Two show in place on Friday evenings, and end the spate of cancellations to accommodate sporting events. Even the programme’s presenter Monty Don has waded into the row, telling his 26,500 Twitter followers that he finds the show’s hiatus over the coming weeks “galling”. It is one of the longest running gardening shows, having been on air since the 1960s, and shares tips, advice and ideas from experts. “Thousands of us avid viewers of Gardeners’ World are up in arms with the BBC who, for the past few years, have entered into contracts to televise sports events which clash with it,” Valerie Corby, a retired lawyer from Taunton, Somerset told The Telegraph. 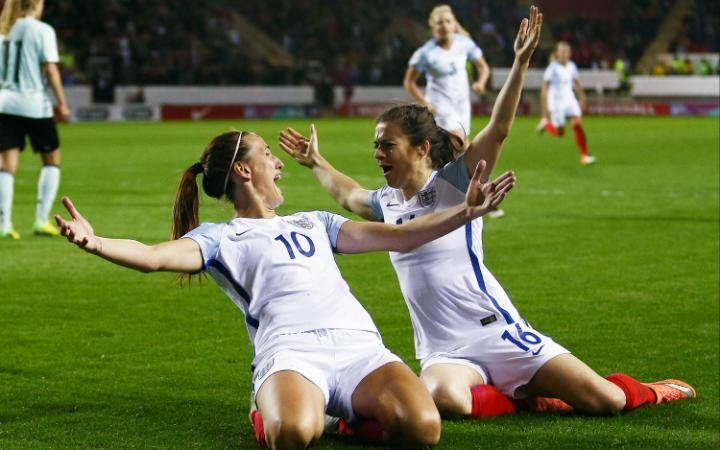 In the current series, an episode was cancelled to air the Women’s Euro 2017 qualifier, and there are a further two cancelled programmes in the coming weeks. Heather Redhead, 57, a sonographer from Chester, said: “We gardeners are heartily sick of the one regular gardening programme aired by the BBC being repeatedly replaced by other programmes. Mary Baillie, 50, a retired communications consultant from South Lanarkshire, added: “It is incredible that every Friday without fail when there is a sporting event being broadcast, the schedulers opt to cancel Gardeners’ World. Nicola Brown, 31, an insurance claims advisor from Norfolk, said: “I am really disappointed with the constant weeks that keep being missed on Gardeners’ World for sports events. Concerned viewers have started a Facebook group, which attracted hundreds of members within a day. The BBC has received dozens of complaints about the show’s cancellations, but has said that “contractual commitments” to air sporting events mean they are left with little choice. From The Telegraph this week. What Makes Good Soil? pH! With soil, pH is the most important number to remember. The acidity or alkalinity of soil is measured on a scale from 0 to 14. The higher the concentration of hydrogen ions in the soil solution, the lower the pH, or acidity. Seven, being the middle number, is neutral, and plants grow best between 6.0 to 7.5. Certain plants prefer different acidity levels. Blueberries, for instance, like acidic soil because iron and aluminum can be extracted easily from it. Pine needles around blueberry bushes are especially helpful for increased acidity! Rainy climates often have acidic soil because other nutrients like calcium, magnesium and potassium tend to get washed away, leaving hydrogen ions behind. In arid climates, the opposite is true; those important nutrients tend to dominate the top layers of the soil. This is where compost is helpful! Compost buffers the acidity of soil by binding to soil nutrients until the plants need them. If compost doesn’t do it enough, to change the acidity of your soil, you can also add ground limestone to make it more basic or sulphur to make it more acidic. The change that these methods create tends to be temporary though, so it’s best to match the right plants with the right soil pH. The last while, we’ve heard some great feedback about our oyas – with one criticism: we didn’t have lids! Well, we heard you. Thanks very much for all the questions and comments, we really appreciate it. All new oyas will be sold with a bright green lid. This goes for all sizes: small, medium, and large. These lids are made from silicone so they withstand the sun and the elements. They avoid evaporation from your oya in hot climates, and keep critters like lizards, slugs, and mosquitos out of the freshwater meant for your plants. This lid is easy to put on and off, fun for kids, and people are loving them! Thank you again for the recommendation!